Srividya, the owner of Gonguura in Juhu, is extremely soft-spoken and talks about her cuisine with a glint in her eyes. I had a long chat with her over an Andhra thali, where she introduced me to the vegetarian Andhra food. It’s fascinating to know that Andhraites make chutneys with almost any vegetable and even fish or meat. Gonguura serves different chutney every day; I had a creamy and mildly sour brinjal chutney in my thali. Then there are pickles, most interesting of all the gongura leaves pickle which is made of dried gongura or sorrel leaves. Srividya gets this pickle from Andhra along with mango pickles that she also retails. The thali at Gonguura typically has a fried vegetable with besan pakoda, a sautéed vegetable, pulusu – sour and spicy curry with leafy vegetables (my thali had chauli with chana dal), rasam, sambar that’s not sweet at all and has radish, dal – plain with the tadka of curry leaf, curd, chutney, chapatti or poori, tamarind rice, plain rice, papad and a sweet dish – mine was parmannam, a thick, mildly sweet kheer. Mid lunch, she calls for the green chilly bhajiyas – fat chillies dipped in thick besan and deep-fried and garnished with chopped onions and fried peanuts. Surprisingly, the bhajiyas are not spicy at all. She also tells me to ditch the chapatti and go for rice mixed with sambhar, ghee and kandi podi – dry powder made with dal and other spices; I happily go along. In Andhra cuisine, Srividya tells me, it’s the chutneys that make all the difference and a variety of flavours. They make chutneys with onion, ginger, coriander, garlic, and even vegetables like the brinjal chutney on my plate. To my surprise, the food is not as spicy as Andhra food is famous to be. The festive food, too, is as simple as their regular food with a few added dishes. However, the affluent ones tend to add cashew paste to make the dishes a bit richer. Thankfully, there’s no invasion of paneer. There is a variety of maida based sweets in the cuisine, something similar to the north Indian balushahi; chikki like sweet made of jaggery or sugar and cashewnut; pootharekulu – sheets made of rice batter cooked on an inverted pan, layered with ghee and sugar and folded like a roll; bandar laddu – besan and urad laddu fried like a chakli which is pounded with ghee and made into laddus and then there’s the famous Tirupati laddu. As I wipe the last morsel of food off my plate, a Cheshire grin sets upon my face. This is the kind of food that represents our country and I am grateful to heroes like Gitika, Rushina, Srividya and Dolly Singh (she hosts Bihari pop-up in Bandra) for bringing it to the forefront. 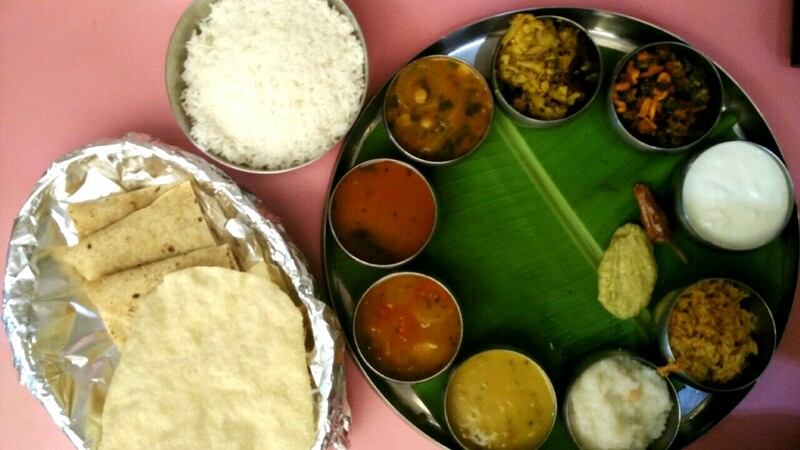 Vegetable chutney sounds great.Its very interesting that in any of four southern states,I did not find paneer in their thali,instead lots of leafy or local vegetables,appetizers in various forms.andhra thali is just like that.tasty write-up. Yes, paneer hasn’t invaded their cuisine thankfully.